Burgen (Castle) Land. A border defensive realm of Western Europe. 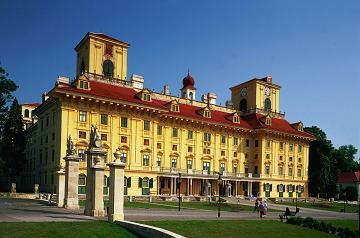 it’s great vineyards, thermal Spas and of course Haydn’s home town of Eisenstadt. Eastern province, low lying parts of northern Burgenland belong to the Pannonian basin which is linked to with the Vienna basin by two gateways situated north and south of the low-lying Leitha Mtns. the area is characterized by steppe and saline-heath vegetation most striking feature is the Neusiedler See. Burgenland became a diocese in 1960. The history of the newer province / and the historical area was dominated by the Esterhazy family – one of the wealthiest families of Austria and Europe, for centuries rivaling the Habsburgs and many others. Esterhazy Palace in Eisenstadt is the Provincial symbol. The Ezterhazys sponsored and hired Joeseph Haydn as court composer and musician which he was for most of his life. Industries are limited to small plants and include: sugar refining, food processing, textile manufacturing, saw milling, furniture, agriculture, wine, tourism, light industry and manufacturing, agricultural has a predominant role in the province. There is a popular saying that there are more Burgenlanders in Chicago than in Burgenland. Only Eisenstadt has a population of over 10 000 people. Introduction Guide to Eisenstadt – Provincial capital, commerce center, several museums. Home of Joseph Haydn, from 1761 he was bandmaster of the Esterhazy court for 40 years. Hi-lights include: Esterhazy Palace which hosts many concerts, several smaller museums including Haydn ’s house, St. Martins Cathedral, 18 C Haydn Church. Annual Haydn International festival. 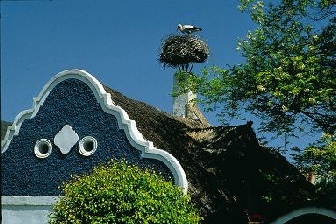 Nearby wine growing villages offer the famous quaint (new wine) Heurigen taverns. For wine lovers there are many vineyards and heurigen nearby. Include the Morbisch Lake stage Opera festival beg June - end August, and Haydn Festival.